We have for sale a large American periodical library on microfiche with over 130 different periodicals covering the period from 1957 through 1999 For more information, click here. 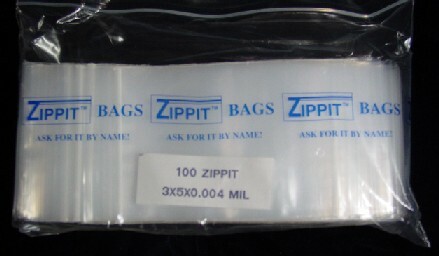 We use a lot of plastic to protect our products and picked up a large amount of 3 x 5 inch reclosable plastic bags at an auction and are making the surplus available at a discount price. Click here to get more information and prices.